IT can’t be in the interests of the Tanzanian government to see Acacia Mining close its Bulyanhulu mine, but that’s exactly the consequence of the current impasse behind the gold firm’s concentrate export ban. This is the situation in which Acacia is prevented from exporting about half of the production from Bulyanhulu, as well as Buzwagi, a mine nearing the end of its economic life. The other half of the mines’ production is in gold doré. According to the Tanzanian authorities, Acacia is under-reporting the value of the concentrate and therefore not paying the requisite levies and taxes – an allegation Acacia rejects. Instructive of Acacia’s mindset is the fact that its CEO, Brad Gordon, already has a firm understanding of Bulyanhulu’s closure costs – a once-off $30m and then $2m to $3m in monthly care and maintenance costs thereafter – and has indicated the group can only sustain itself for so long. “If we get to a point following the release of the second report that there is an impasse in dialogue with the government, then we will put it [Bulyanhulu] on care and maintenance,” he said last week during an investor update. The second presidential committee report, which will set down the economic and legal aspects of the dispute, is due in a week or two. The first presidential committees did little to aid the case for the state. In claiming Acacia had under-reported the value of concentrate by 10 times, it was implying each mine produced 1.5 million ounces a year of gold compared to last year’s combined production of 451,262 oz. Acacia also produces doré from North Mara in Tanzania. So what’s the provenance of the concentrate export ban? Tax issues have been a source of contention between Acacia and the Tanzanian authorities for a number of years. Last year, the Tanzanian Revenue Authority won a Court of Appeal decision relating to a dispute over tax calculations related to Bulyanhulu between 2000 and 2006. Acacia subsequently increased its tax provisions by $70m. Having history of this ilk with a host government often sketches a picture for the future. Trust is fragile; bad blood is rarely forgotten. 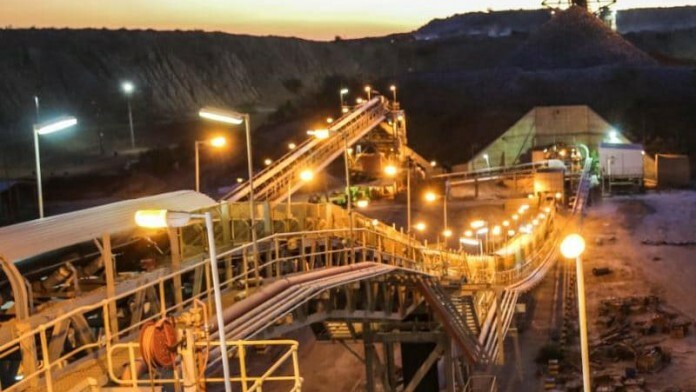 Randgold Resources faced a similar situation in October 2016 when the Mali government shut down its corporate offices in the country because there was an alleged $80m in unpaid taxes – an allegation Randgold also refuted. The International Center for Settlement of Investment Disputes had recently awarded $29.2m plus costs to Randgold’s Loulo for taxes found by the tribunal to have been wrongfully collected by the Malian government. First Quantum Minerals is also fighting “vexatious and untrue” claims by Zambia’s state-owned copper company ZCCM Investments Holdings (ZCCM-IH) that its local subsidiary, Kansanshi Mining had been involved in fraudulent activity with the parent company. Zambia’s president, Edgar Lungu, has since asked ZCCM-IH to drop a case where it was due to be heard in the Lusaka High Court. The Canadian firm has, through the years, frequently encountered a “vexatious” relationship with the Zambians dating back to its earliest days in the early 2000s when the authorities cavilled over agreed standstill clauses on tax agreements. For Acacia, it’s likely it will be forced into a period of arbitration once the real bargaining position of the Tanzanian government is made known to it. It could be a tax settlement or even some commitment to beneficiation, especially as the Tanzanians have previously investigated, without success, the possibility of building downstream processes. “We agree with a 2011 report that was compiled by Tanzanian authorities that given the technology of that time, smelting was not viable,” said Gordon last week. “That report implied it would need 150 to 200 tonnes of concentrate compared to the 50 to 60 tonnes per year we are currently producing,” he said. This tonnage is destined to fall further when Buzwagi closes which would see concentrate production fall to about 25,000 tonnes annually, said Gordon, who added the company would investigate any new smelter technology that could viably treat concentrate at lower levels of production, if it were available. If this is the case, why has the government not given the rights to the African companies first? Close the mine down and invest the money else where – better still sell the mine to the government and let them ruin it ! Typical African governments, trying to pilfer cash, as that is what they do best. Investors will go and mining industry will collapse. The story of Africa. Acacia has invested Us$4bn in Tanzania. They are the victims of theft here, not the perpetrators! “Everything man is capable of imagining, he can create”.